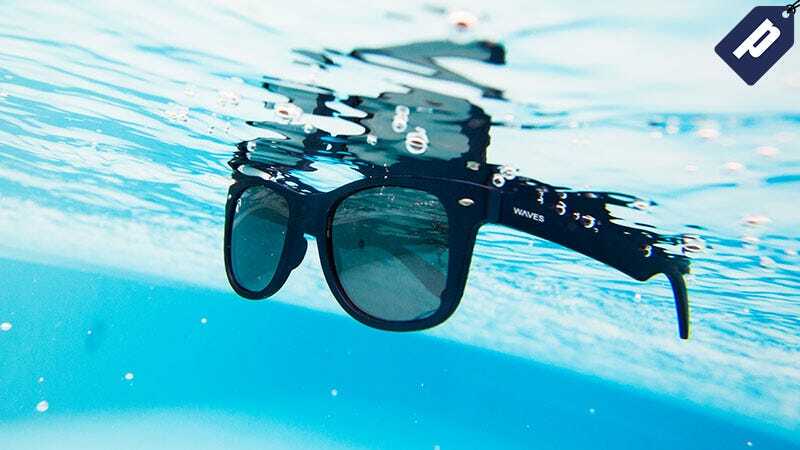 Warmer weather is here, so grab these polarized floating sunglasses from WavesGear at 50% off. Use promo code FS50MAY and get a pair for $20 (offer valid site wide). The floating sunglasses are ideal for water sports, relaxing at the beach or pool, or your day-to-day. They offer 100% UVA/UVB protection and the frames are constructed from proprietary unsinkable plastic, making them light-weight yet durable. The Reflective line includes three colors, available as a single pair ($20) or in a three-pack ($50.50). Plus, each pair comes with a micro-fiber carrying pouch/lense cleaner for easy upkeep and storage. Grab the Waves floating shades for just $2o and save 50% with promo code FS50MAY (offer valid site wide).